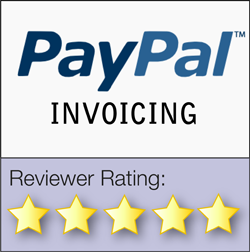 About: PayPal Invoicing is a web-based accounting solution for creating and managing invoices and accepting payments. 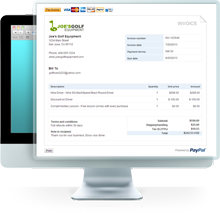 Use cases: Create and send invoices, accept credit cards, bank or PayPal payments, view payment status, integrate with Microsoft Excel. My investigation can't begin until I receive the retainer. Instead of waiting to receive a check or inconveniencing my client, I wanted to be able to accept credit card payments online. By using online invoicing, not only can you accept credit card payments but there are a number of other benefits that make it an excellent option. 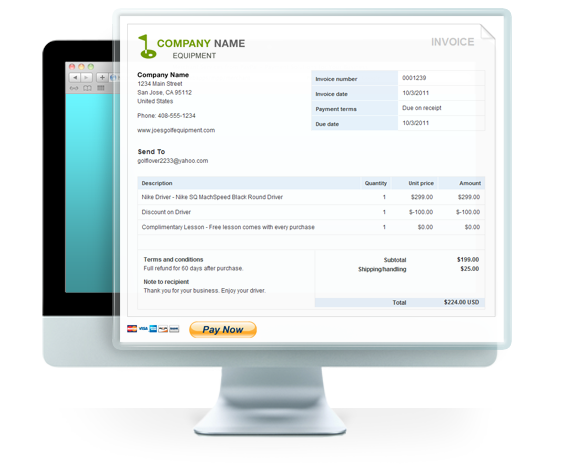 There is an invoice template that you can customize with your logo. They offer at least 10 different template options that you can create yourself. 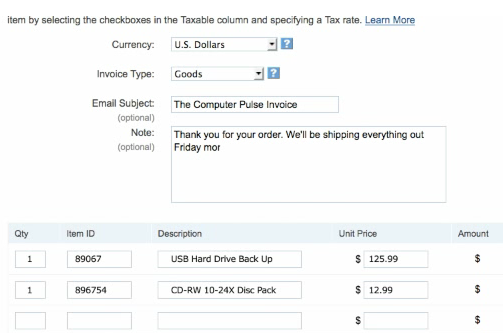 There are several fields that you can use or not, such as date, shipping, and handling, discounts, etc. 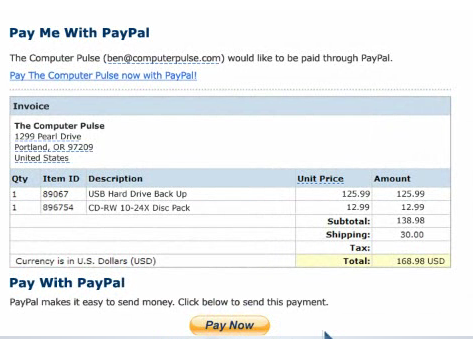 The client is sent an email that has a link directly to the PayPal site where they can enter their credit card information. As soon as they pay, I get paid. The transaction is secure and guaranteed and there is always a paper trail. I can send a reminder if the payment is past due. I can track paid and outstanding invoices and have several simple summary reports to run to get totals or use when it's time to file taxes. No paper is wasted and no postage is necessary. 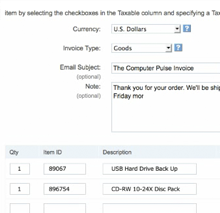 I would prefer it if the invoice had some additional customization options for the fields that are available. It would also be better if there were an option to add a customized field. Although there is a field for Payment Terms and one for Notes, it would be more clear if there were one or more blank fields for whatever other types of information necessary. This is an excellent, low-cost option for transitioning to a paperless office (or at least a paperless invoicing office). The fee per transaction is only 2%. They have great customer service and offer a debit card that you can link to your payment account. 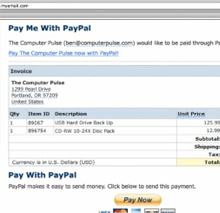 You can use it anywhere Visa is accepted and it works like any other debit card. Summary of Experience: I specialize in Criminal Defense, Background/Due Diligence investigations, public records research and retrieval and surveillance. I have 3 1/2 years experience as an investigator and an additional 10+ in Human Resources.